of a South African life style. 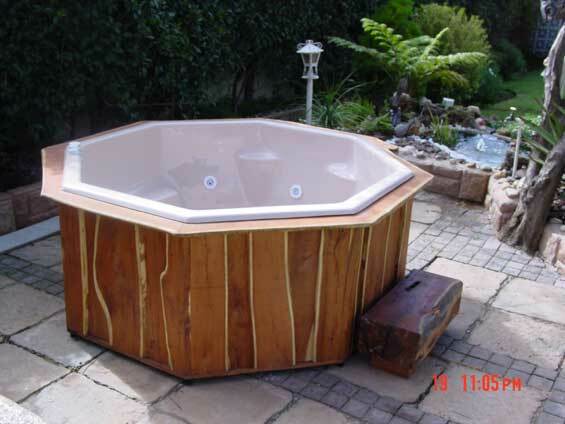 Build Up has been dedicated in developing jacuzzi spas for the South African market since 1999. In completion of numerous installations Build Up has determined exactly what the South African wants. 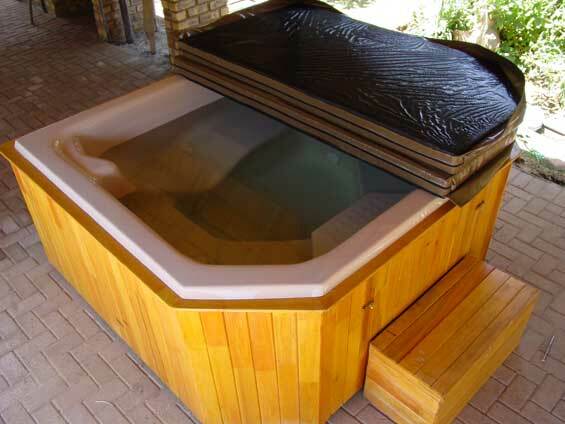 Build Up jacuzzi spas are manufactured form only the best locally available material and components. 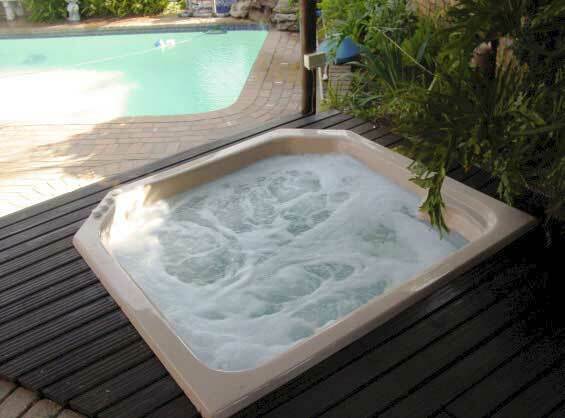 Jacuzzi Spas are vacuum formed from ISO 9002 Acrylic to International ISO standards. 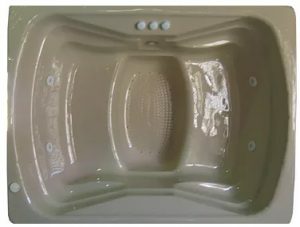 The use of high quality material insures that Build Up jacuzzi spas are abrasion, corrosion, acids, heat, alkalies, salt solutions resistant with excellent U.V. Stabilized for SA extreme weather. 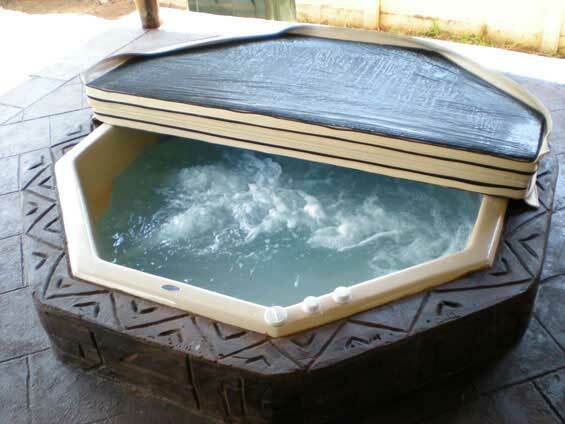 Build Up spa’s acrylic spas are electrical insulated, scratch resistant and has a high impact strength to withstand the demands of a South African life style. items. Ideal for townhouse and cluster developments, but just as effective for the small family. Seating level in spa is positioned to accommodate the taller individual. Lower seating level gives a floating sensation and a good shoulder waterline. No space is taken up by seat separators. 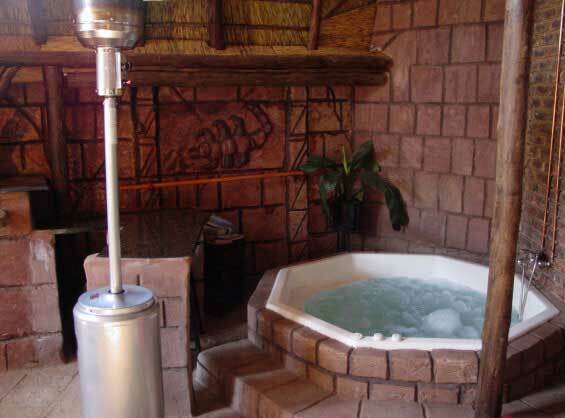 The spa’s compact foot well makes ideal space for a Sihatso spout to relax those aching feet. 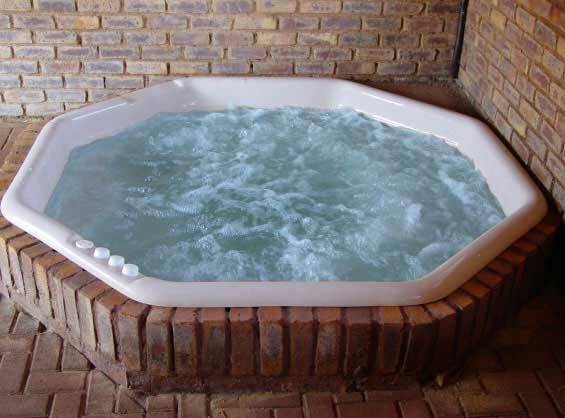 The top selling jacuzzi in SA. Economical quantity of water and with desired seating option including a lounger. Seating configuration allows for upgrades option like hot seats. 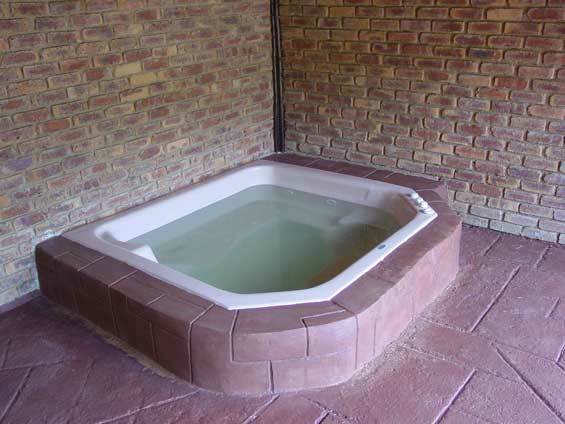 Deep seat with a big foot well & perfectly positioned jets make the spa extremely desirable. 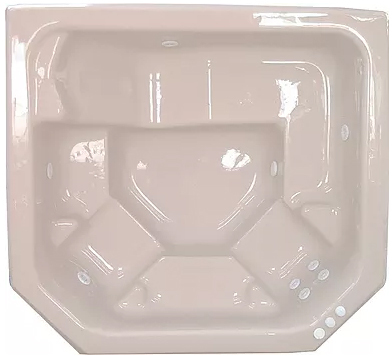 The spa step is positioned for the individual as a seat for when the spa section becomes too hot. A exceptional spa to make Corner intimate. Corner entry that flows into a generous 2 seater lounger that makes the most of the 8 seater layout. The 2.4 square has dedicated seating sections moulded to the body’s curves for a comfortable lounger experience in a nice volume of water. Solar Panel water supply can insure a supply of free hot water. 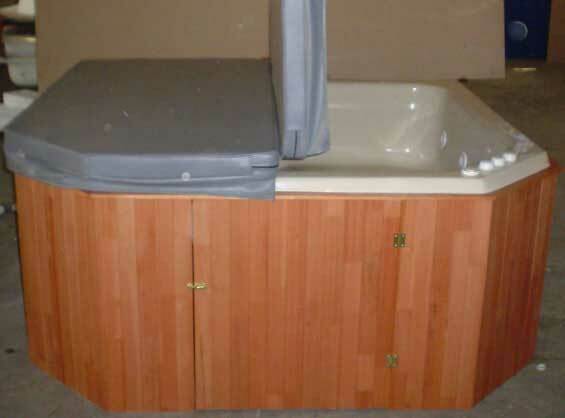 Provision to spa is made to accommodate the full line of accessories. The spa can be emptied by the push of a button. 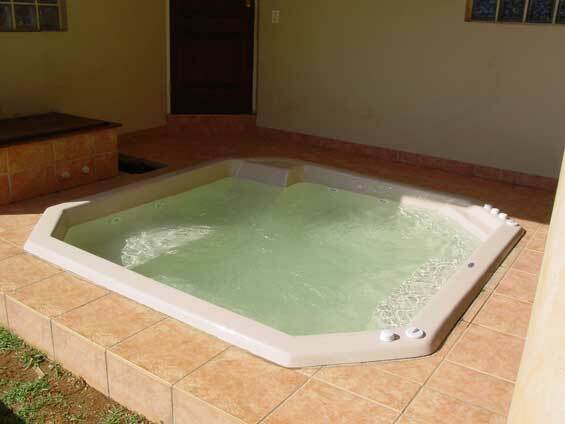 This jacuzzi spa is designed to accommodate 8 people. It is an extremely popular spa for entertainers and commercial use. Bench to inside of spa is nice and wide to accommodate even the largest of big framed people. The spa does not have seating restrictions as it is a true party Spa. Water in spa can be kept at a constant temperature by installing a circulation pump and hard cover (see accessory for economical heating options. The freedom of space and the tranquillity of warm water are embodied in the 12 seater. More than adequate lounging space for the whole family with friends. 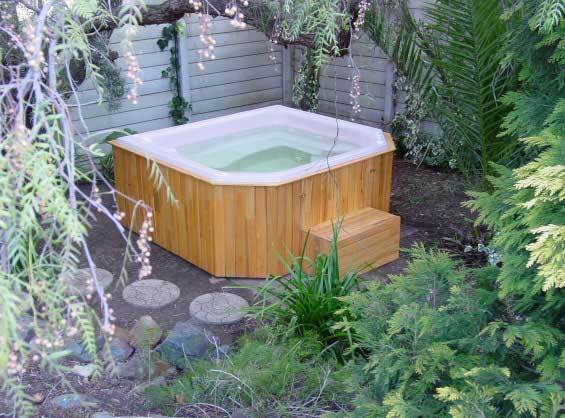 This spa is the ideal alternative to a pool as it encompasses the space of a pool with relaxation of a spa for whole year use. The spa can be heated by Solar panels and Heat pump combination affordably in a short time frame. Hard cover will keep the Spa clean and at a constant temperature by limiting heat transfer. 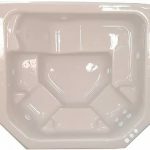 Unrestricted movement space with no spillage or water loss. 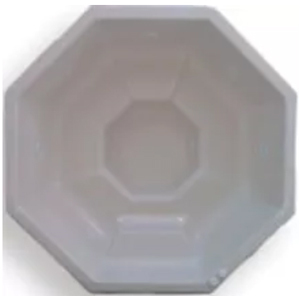 All excess water is stored in the rimflow tank where it is kept at the desired temperature. The rimflow feature makes it ideal for high traffic of people getting in and out without disturbing users. The rimflow tank insures a constant water level, if the spa has 8 people in and 7 get out the excess water is automatically pumped back in to the spa to keep it filled to the. The continuous water flow over rim of the spa not only creates a serene waterfall atmosphere but also keeps water in good hygiene. Optimal hygiene can be assured by adding a chlorinator. The supreme spa for the complete hydrotherapy spa benefit. 14 jumbo jets targeted onto all the desired points will invigorate and rejuvenate the whole body. Two recliners, with an additional 3 seats make it perfect to share. This high-tech unit combines technology with functionality to perfection that makes the most of its double pump configuration. 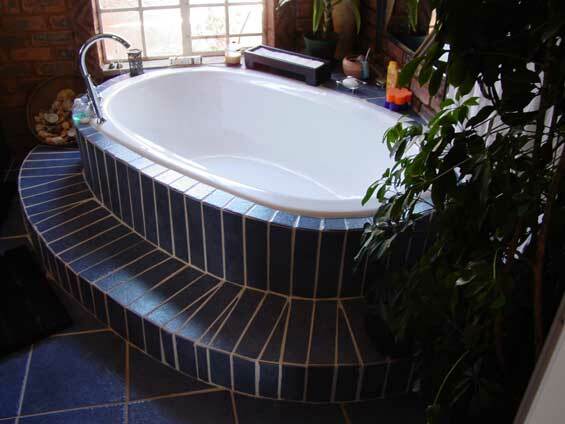 A circulation pump and bottom drain can be added for ease of usage . A large luxury relaxational Spa.. This Spa is a notch above the rest, as it is deeper than the conventional spa. Spa comes standard with 14 50mm adjustable jets, and micro jets. A light is the glowing soothing gem of an entertainment aria – admired by all and gives true value when its is utilized and has no maintains cost when not in use. Options include Jetted option in white or chrome jets. 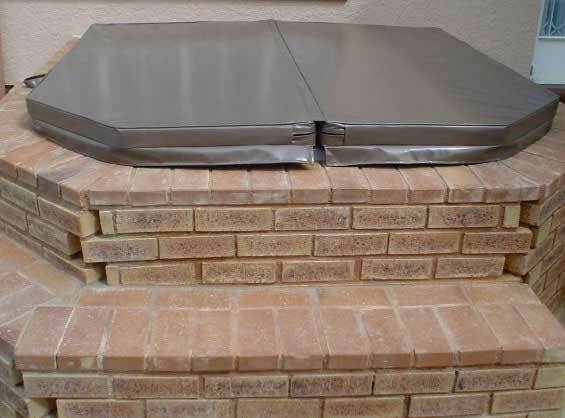 Hard Cover (75mm polystyrene cover in mock leather or UV proof polyethylene, steel back reinforced) saves power in warm up, protects & keeps spa dust free. 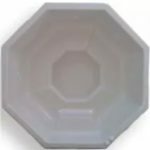 Optional Extra for installations where the Spa needs to be kept at a constant temperature for any-time use. Where additional jets and water flow is required, secondary pump systems may be added. If it is found that the cool air from the normal air blower causes discomfort or annoyance, a heated blower will pre-heat the air before discharge. An ozonator can be added to ensure the Bath or spa remains sanitized at all times.The system is fully automatic and avoids the drudge of unnecessary maintenance. This allows for draining of the Spa to almost empty to ease the cleaning processa solution to the buket. 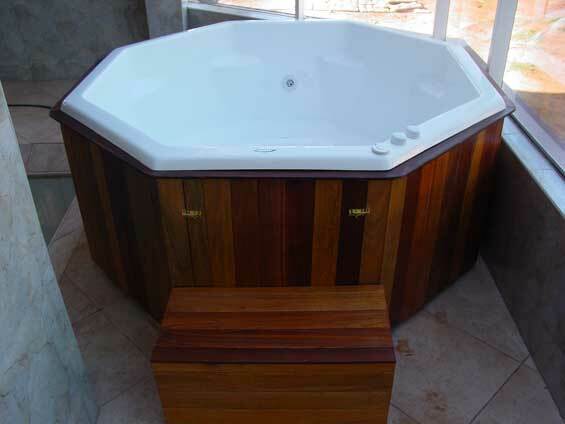 A double Limited warranty is extended to the original purchaser of the jacuzzi spa from BUILDUP and the accredited manufacturer. The double warranty is limited to the following: 5 years to shell structure, 1 year on pump, 6 months to electrical components and all other components not mentioned. 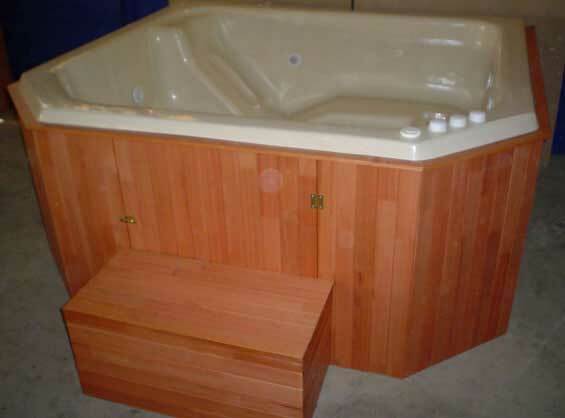 Specifically spas are warrant to be free of defect in workmanship or material for 6 month from original date of purchase.